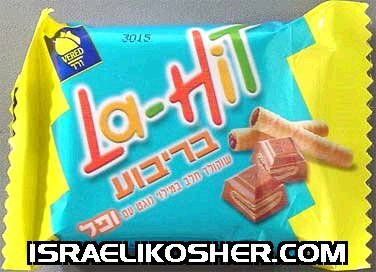 la-hit, nougat & crisped wafer filled milk chocolate, cholov israel. net weight 1.3 oz. made in israel.